The first in Universal’s Dark Universe series of movies featuring all the old horror villains from the Thirties and Forties – Dracula Untold (2014) can be ignored – The Mummy arrives with all the hoopla and advertising overkill of a movie designed to put as many bums on seats in its first week before audiences realise just how much they’ve been duped into thinking it might be any good. There were clues in the trailers, but nothing as bad as the finished product, a dispiriting mishmash of better ideas already well executed elsewhere, and lesser ideas propped up by a script that needed three screenwriters to work on it. If this is an example of what we can “look forward” to, then it would be best if Universal gave up now and saved us all the pain and anguish of further entries. 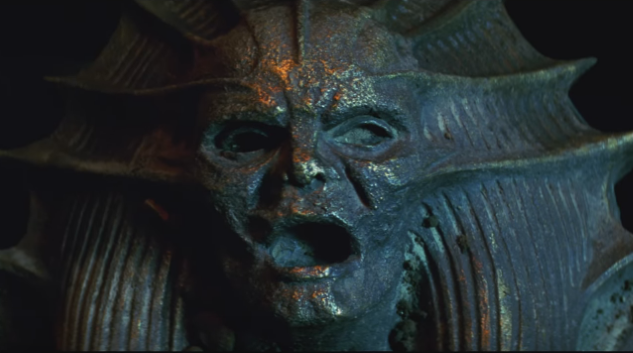 The main problem with The Mummy is that it’s clearly not a horror movie, and it’s just as obvious that at no point have Universal ever considered making it into one. Rebooting those movies from seventy, eighty years ago isn’t such a bad idea, but at least those outings for Dracula and Frankenstein’s Monster and the Wolf Man were meant to be horror movies. This is a bloodless, scare-free action adventure movie that pays lip service to its series tagline “Welcome to a world of gods and monsters”, and relies on big CGI-enhanced action set pieces to provide what little entertainment it can muster. Somehow, the big studios have decided that these big set pieces are what audiences want, but that’s just wishful thinking. What audiences want are stories that make sense, characters they can relate to or sympathise with, moments that make them sit up and take notice, or any combination of all three. What audiences don’t want is to be force fed the same tired, formulaic rubbish over and over. The Mummy arrives at a point in the year where the annual blockbuster season is well under way, but there’s very little chance that this is going to be as successful as Universal may have hoped. The presence of Tom Cruise (in another franchise role) would normally help sell a movie, but here he’s playing the same kind of cocky, rule-breaking maverick that he’s been playing for the last thirty years. As a result, his character, a US army sergeant called Nick Morton with a sideline in stealing antiquities, looks and feels tired right from the start, and Cruise is unable to inject more than a basic energy into his performance. He’s not helped by the script, which requires him to look puzzled, confused, bewildered and all the way back to puzzled with each and every scene once Sofia Boutella’s evil Egyptian princess, Ahmanet, is freed from her ancient prison. Away from the action and the garbled storyline, it falls to Crowe’s role as Dr Henry Jekyll, head of the Prestigium (“We recognize, examine, contain, destroy.”), to provide a link to any future Dark Universe movies. But instead of keeping Dr Jekyll in the forefront, and Mr Hyde under wraps until a potential solo movie, The Mummy takes a detour around the halfway mark and reveals Hyde in all his ashen-faced, grumpy glory, and with a horrible Cockney accent to boot. It’s a prime example of the makers not knowing how to maintain a consistent tone. There’s much more that doesn’t make sense, or feels as if it wasn’t fully explored or worked out ahead of shooting, but the movie doesn’t concern itself with telling a coherent story, or treating its audience with respect. This is a big, dumb action movie with mild horror moments that are about as scary as watching Sesame Street. The next in the series is meant to be Bride of Frankenstein (2019), with Bill Condon in the director’s chair. Let’s hope – if the movie goes ahead as planned – that he has better luck than Alex Kurtzman in creating a world where gods and monsters really do have an impact that goes beyond massive indifference, or exacting criticism. 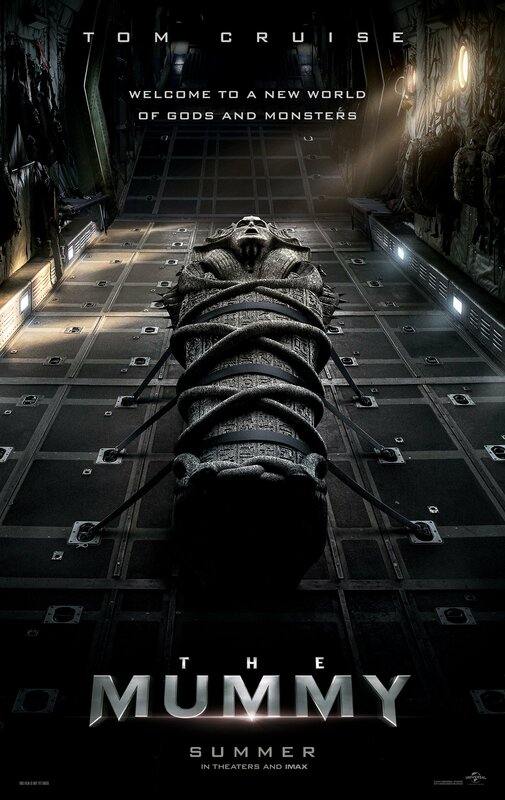 Rating: 3/10 – meh, meh, meh; the movie equivalent of oxygen – colourless and odourless – The Mummy is yet another abject blockbuster lacking a heart, a soul, and a sense of its own stupidity, and is a waste of its cast and crew’s time and effort – with the same going for its audience as well.